The British Columbia Teachers’ Federation (BCTF) is excited to announce TeachBC, their new website and online database to share teaching resources. It is now available online at teachbc.bctf.ca. TeachBC is an online resource of teaching materials, lessons, and research relevant to the K‒12 BC curriculum. Through the generosity of BC public school teachers, the website is public and open to everyone. Teachers and organizations can share their teaching resources or educational research by registering and uploading their materials or providing links. Anyone can browse and download the resources for classroom or professional use. Browsing is easy: users can search by subject, grade level, resource type, title, description, language, and more. TeachBC uses a Creative Commons license; this means the materials are not copyrighted in the traditional sense. They will be freely available to use in classrooms, but not for profit. The database will be open to searching and downloading of resources, and will be a source of high-quality BC-based research. This will grow to be a valuable resource for BC teachers, built by BC teachers. Please share this news with your colleagues and encourage them to share their teaching resources. Our new book display related to BC ADHD Awareness Week is up. BC ADHD Awareness Week Awareness Week is Oct 14-20th. The purpose of this campaign is to raise awareness of ADHD in adults and children and to reduce the stigma surrounding it. 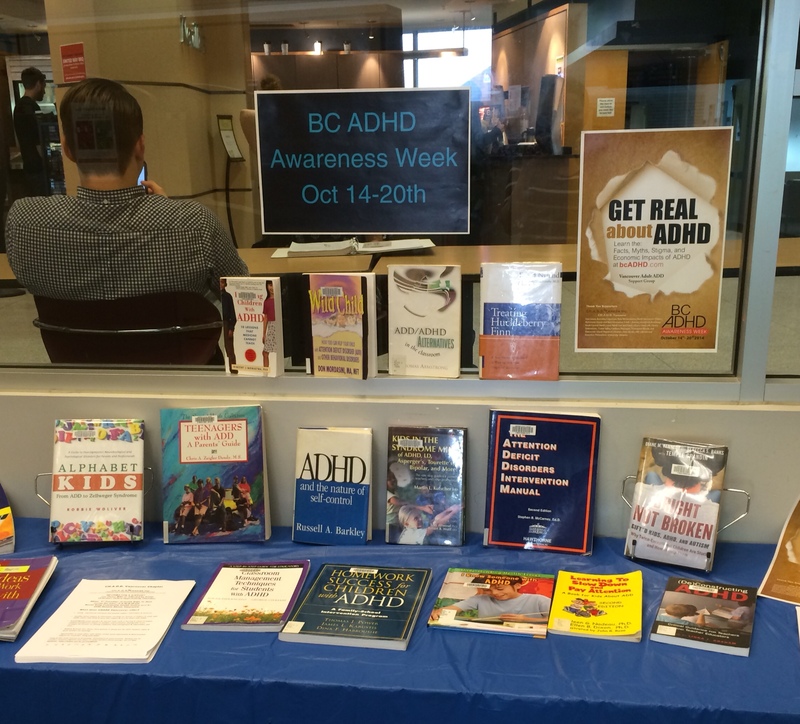 Last year BC had 78 libraries and bookstores in 23 BC cities creating ADHD book displays and two ADHD information tables. There were more ADHD Awareness activities here than all provinces in Canada combined, and had multiple media and social media coverage. The Faculty of Education and UBC Library have teamed up to introduce UBC’s first LOOC – or local open online course. 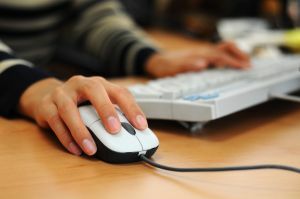 The offering, part of UBC’s Master of Educational Technology program, is meant to help UBC students, staff and faculty hone their digital literacy skills. The course, called M101, features topics including Mining (research), Meshing (idea creation) and Mobilizing (generating value from information and knowledge). The LOOC is open to all members of the UBC community who have a campus-wide login. M101 is self-paced, and users can build their skills in any area, in any order that they wish. As the name suggests, a LOOC is a localized form of a MOOC – or massive open online course. MOOCs have been a big topic in online education recently and UBC’s first MOOC – which launched in January 2013 with Stanford University – attracted more than 130,000 registrants. The LOOC project received a grant from UBC’s Teaching and Learning Enhancement Fund in spring 2013. Work began in April, and the LOOC was opened to co-authors of content, including UBC librarians, in July. The first set of students from the MET program will be able to contribute as of September. For more, visit UBC Library’s site. Celebrate the 25th Annual Science and Physics Day at Playland! With help from a group of educators from the UBC Department of Physics and Astronomy, teachers can bring their classes to Playland to have fun and study physics in action. The British Columbia Brightest Minds Competition is part of the Science and Physics Day two-week event, so bring your students to Playland for some educational fun! Read more and see the video from The Vancouver Sun here. April 25th, 2012 by deewin | Comments Off on Help Us Help You! Card sorting is an activity where participants help us organize content more intuitively for the Library website. Three sessions will be held in IKBLC this week. We are specifically seeking faculty, graduate students and distance learners to take part in one-on-one usability testing for the Library website next couple of weeks. 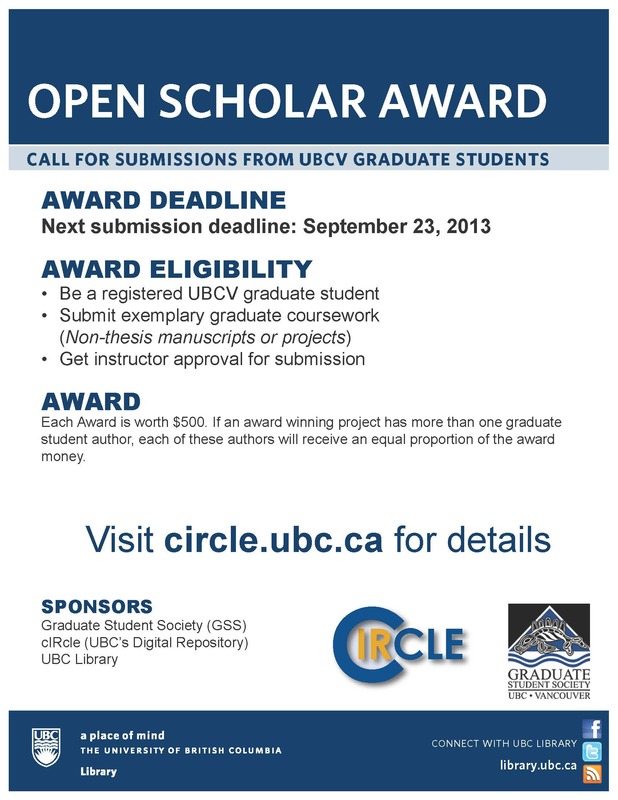 Please contact Letitia Englund at letitia.englund@ubc.ca if you are interested in participating. We will work to schedule times individually during the day Monday-Friday, and each session will be 30-60 minutes long. Posted in NewsAndEvents, usability testing | Comments Off on Help Us Help You!